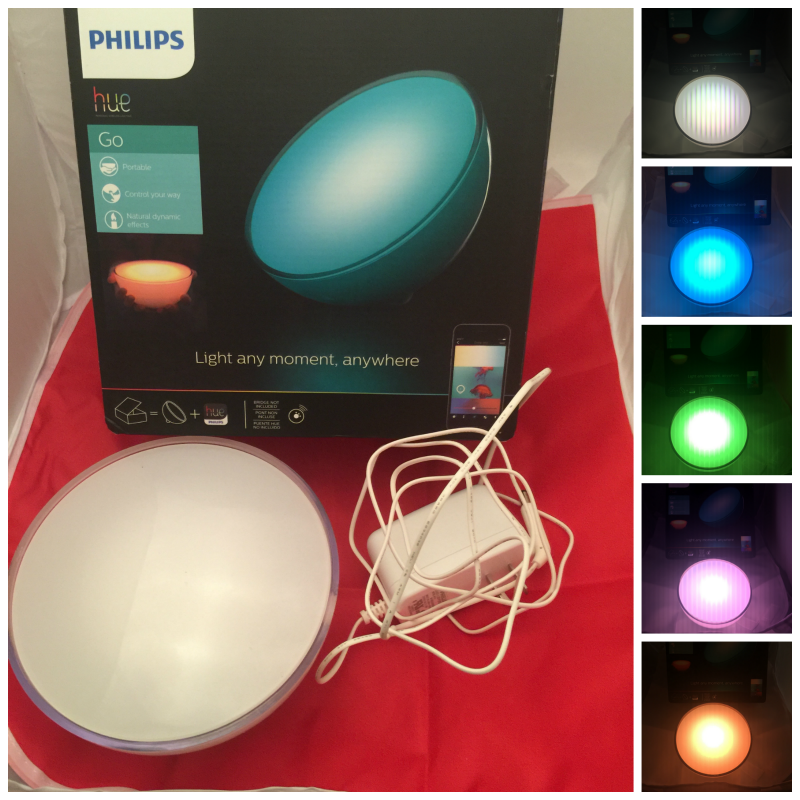 Upgrade your boring lights with the new Home Philips hue A19 Starter Kit! Our family loves technology and I hate to admit it but sometimes we buy way more than we need! So, when I was invited to review the Philips hue starter kit, hue Go personal wire free smart light, and the new Netgear® Nighthawk™ DST Router and DST Adapter with Geek Squad included, I knew this was going to be a perfect fit! The funny part is I was actually in the process of researching ways to make my “home smart”. With so many products on the market I wanted to make sure that I was purchasing the right product that would not only work but would also be able to grow with my family over the years. 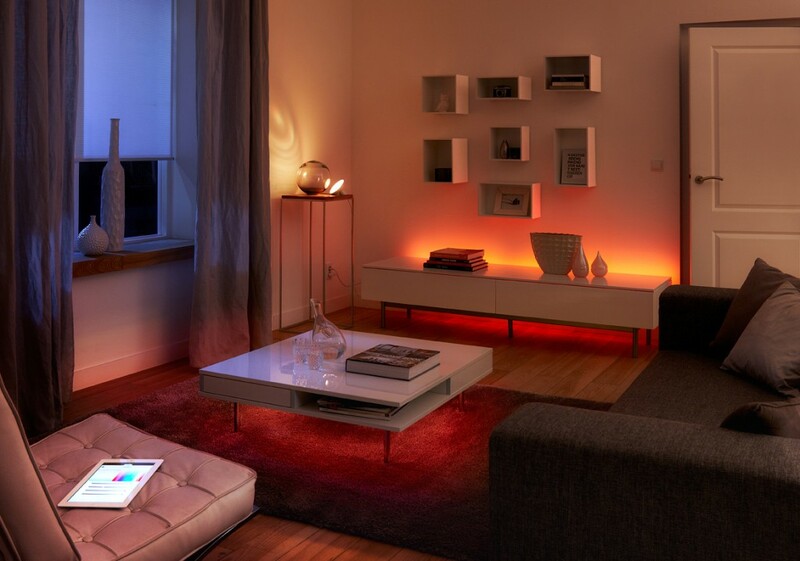 That is why I love the Philips hue product line! I can actually link 50 lights per bridge which is way more than we need! I was amazed how simply the set up was. I installed two in my upstairs living room and the other one in the downstairs. With this product line you can experience a new world for home lighting and transform the way you use light by adjusting colors, timers, alerts and more from your phone or mobile device. I love how the bulbs, accessory lights and bridge work with our current Wi-Fi to let us create mood-setting color schemes, or enjoy the right light setting for reading, relaxing, concentrating and much more. You can also easily maintain an automatic schedule while you’re vacationing, so that it looks like you’re home! My favorite part is that I have my lights set to turn on as soon as I am pulling in my driveway! 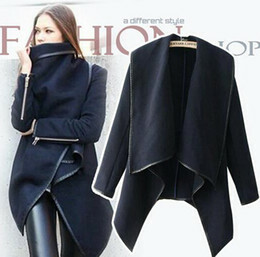 No more walking in a dark house trying to find the light switch! Since we are Apple users I was amazed how great it works with the Apple HomeKit for iOS users, I love how you can control your lights with Siri voice control on my iPhone or iPad. 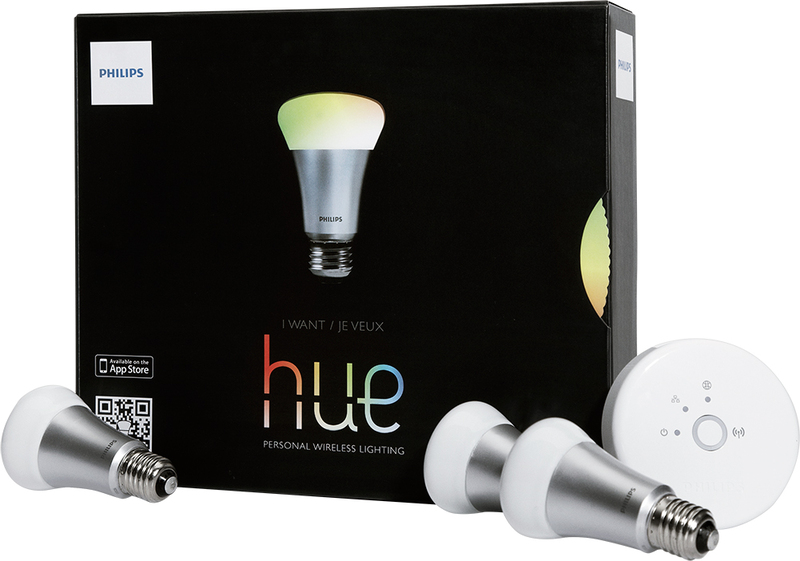 Turns your existing hue lights into HomeKit controllable lights and discover exciting new use cases through 3rd party homekit apps that also control door locks thermostats and more. Jada has took over the The hue Go and put it in her room! This is a portable, completely wire free smart light that offers a lot of versatility for any lighting need. I really love these lights and plan on buying more lightbulbs soon to the system. The only issue that I do have is I sometimes have issue with the iPhone app staying connected to my bridge. Other than that I recommend them to anyone who is looking for true smart lights! My 16 year old son is a gamer and has actually been begging for Netgear® Nighthawk™ router for a long time now. However, I will be honest I didn’t see the need to upgrade the router we have since I felt it worked fine. Now that we were sent the Netgear® Nighthawk™ DST Router and DST Adapter with Geek Squad included, all I can say now, is WOW! I am amazed at how great this router works! We are now getting the speeds we are paying for and I have to admit I love the fact that we no longer have “dead spots” through the house. As soon as the router arrived, my son was ready to connect it! He had us up and running in no time! 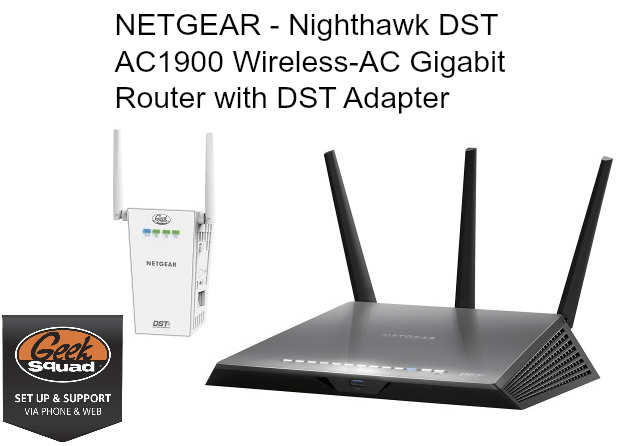 The Netgear® Nighthawk™ DST Router and DST Adapter with Geek Squad included is a brand new router that was exclusively developed between Netgear, an industry leader in the networking world, and Best Buy, to help provide consumers with an easy, all-in-one solution to support their home’s connected devices. As we all know the number of Wi-Fi dependent products continue to increase in a home from smart phones, tablets, laptops, printers, games and of course products like the hue, this puts a big strain on the network especially your beloved router! So, I am sure it’s safe to say you have experience slow Wi-Fi, dropped calls, or experience “dead zones” – which could be improved upon with an “AC” router, Wi-Fi extenders and expert help. That is why this makes this router the perfect choice for your networking needs. The AC1900 comes with one DST, or “Dead Spot Terminator,” adapter – to eliminate your Wi-Fi dead zones; simply place it in an area where you get little/no reception, to improve Wi-Fi access. The best part is additional adapters can be purchased for other dead zones. This high-performance router was built to support 10+ connected devices – you can also prioritize devices for streaming videos or music, and included advanced features for lag-free gaming. This makes my son a very happy gamer and as a mom I am no longer complaining that my wifi is slow due to the kids streaming which equals one happy family! I love all 3 products and recommend them to everyone! Not only are they great for home they would make great gifts this year for all your tech nerds on your list this holiday! Join the conversation on social network with #BBYConnectedHome And for the latest news and updates be sure to follow on these social networks.